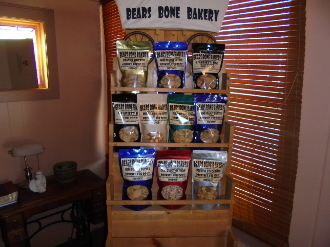 Our Products >> Bears little buddy box 10 bags, your choice, shipping included! Bears little buddy box. This is a box of 10 bags, your choice of flavors! Thats just 7 dollars a bag and WE pay shipping! PLEASE specify what flavors you would like in the comment section of your order. ALL products are good for 6 months unopened. Bears little buddy box 10 bags, your choice, shipping included!